Microchess: A Chess playing program for the 8080 Microcomputer, written by Peter Jennings in 1977. This is the grid for making moves. I started playing with BeagleWriteGS 3.2 and found it very interesting. To start, I opened an AppleWorks 5 file with BWGS. It handled the import flawlessly. The document is 15 pages, so I was expecting some surprises. One of the first things I tried was the Load Picture feature. I was able to load numerous pictures. I only saved two pictures within the document, as you’ll notice in the first picture. You can resize the pictures. But you can not word wrap. BeagleWriteGS was created from the former MultiScribeGS. I do like the Load Picture feature. It handles a number of formats. You can resize the images. However, there is no word wrap. The Spell Check feature operates just like the other IIGS Word Processors of this ilk. However, there was a bug. Although you can run BeagleWriteGS from the Hard Drive, the Spell Check will not function without the program disk in a 3.5″ Drive. I copied the files from the Hard Drive to a new 3.5″ disk. Disk is named bwgs. Once you do this the spell checking runs flawlessly. Even the add the word to the User.Dictionary works. If you try to spell check without the 3.5 disk the program will either crash (on making changes) or go into a loop, from which you can not break out. You’ll need to reboot. The BeagleWriteGS is found on the Hard Drive image. 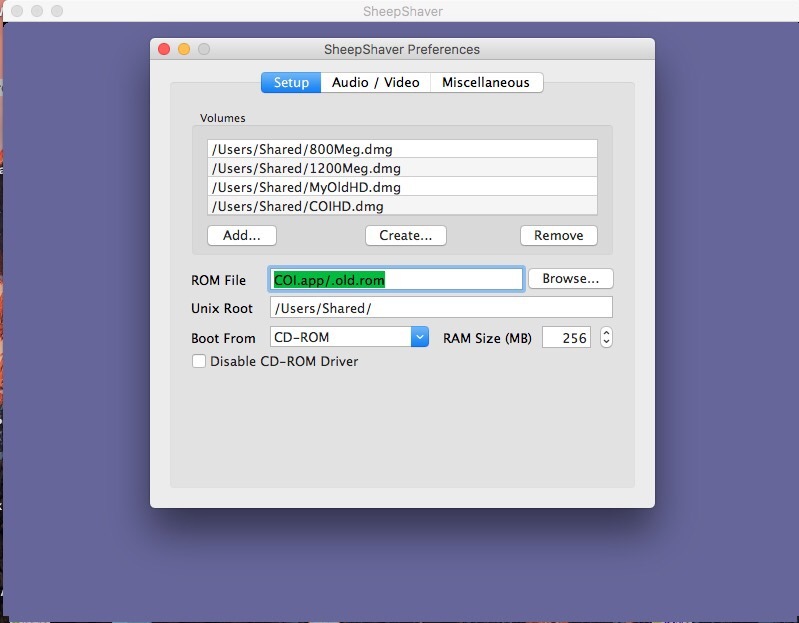 SheepShaver – The following archive.org link is to a fully operational preconfigured OS9 version that runs on Intel Macs. This COI ChubbyBunny version is complete, ready to run. The rom and all the hard drives on the screen are included. The instructions are pretty easy. I’ve posted some screen snaps below to illustrate some Setup pieces. Links to this material keep changing. So, don’t give up. The 1st link has various versions up through Feb 2019 and Mojave. 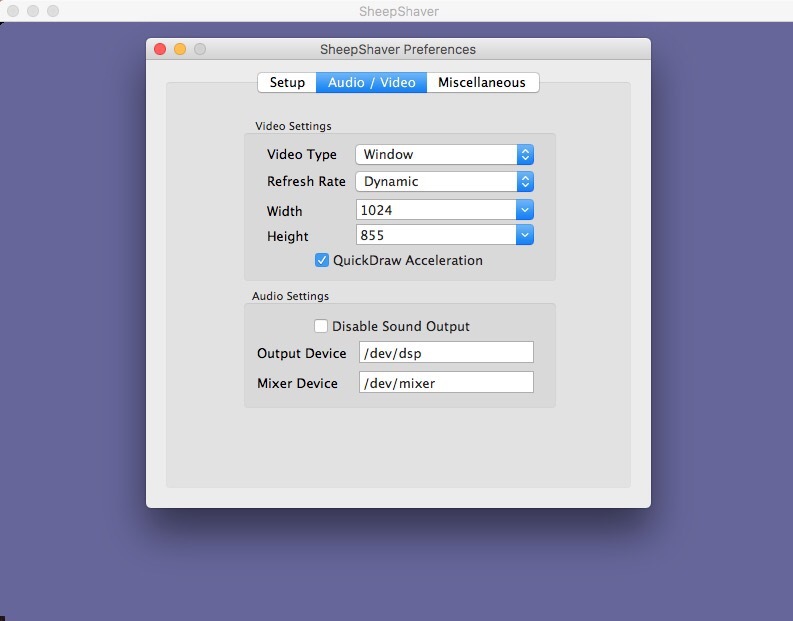 This blog has this great write up on how to modify defaults. 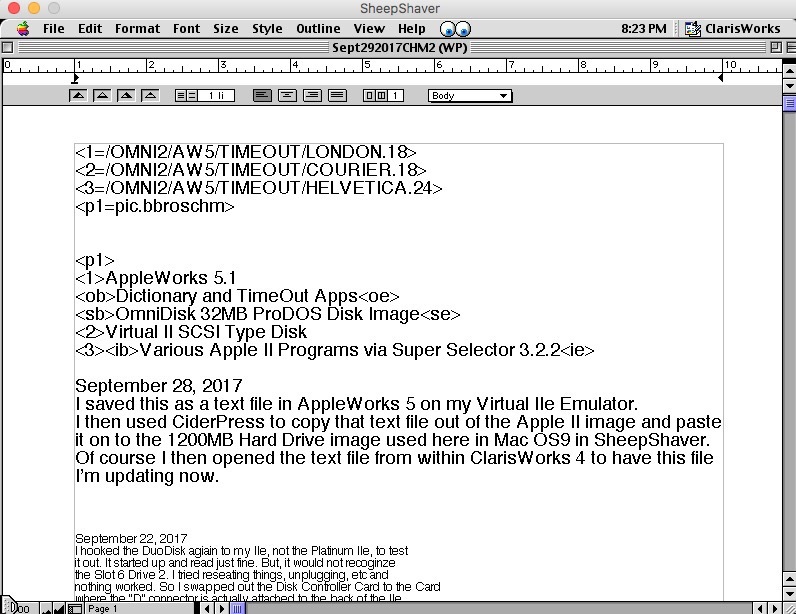 The picture below is CalrisWorks 4 with the text I imported from a text file I saved from AppleWorks [ you actually have to print the AppleWorks file to text, there is no save as text option ] on my Virtual IIe Emulator. The first paragraph tells you how I did it. The beginning text is all related to Beagle Brothers SuperFonts in AppleWorks. 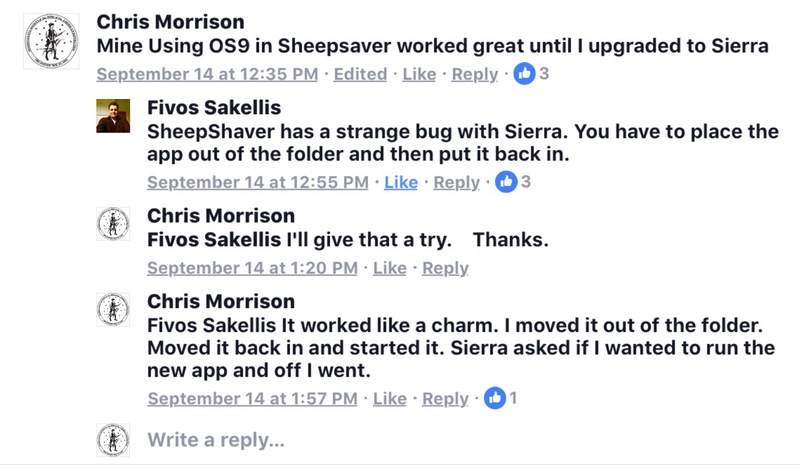 Below is a conversation on the FaceBook forum after an issue with it when I upgraded to Sierra on my MacBook Pro. 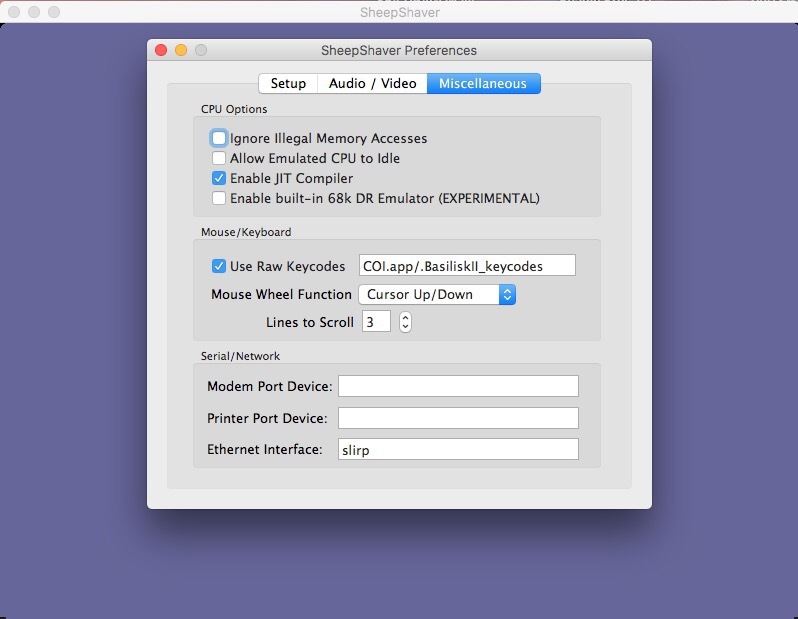 SheepShaver Emulator: I just upgraded my MacBook Pro to Sierra and SheepShaver boots to OS9 just fine but as soon as I click in the window it crashes. Any thoughts? Received my new FloppyEmu Model – C from BigMessoWires.com and plugged it into my IIGSs. I’ve been using the Model – B for a couple years now. I’ve posted a number of blog entries on the Model – B during that time. Have a look if interested in my experiences. The features are describedthe following link. The Model – C has a much larger screen and also supports WOZ files. Here are a few pictures. The Model-C arrived with Firmware 0.2f, 21. Everything ran great. But, to use WOZ files I needed to upgrade the Firmware to 0.2G, 23. Upgrading the Firmware was very straightforward. I downloaded the file, read and followed the instructions and completed in about 5 minutes total. 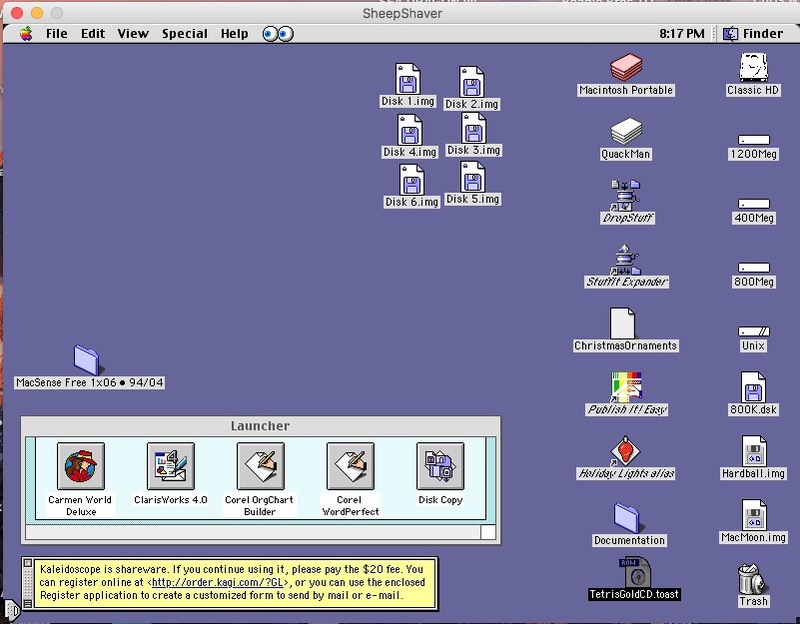 Here are a couple screen shots WOZ images running on my IIGS. I connect the FloppyEmu to the SmartPort and in the IIGS Control Panel I Set the boot slot to 6. The following is a picture of the Error Message before I upgraded The Firmware. It didn’t recognize WOZ file type. 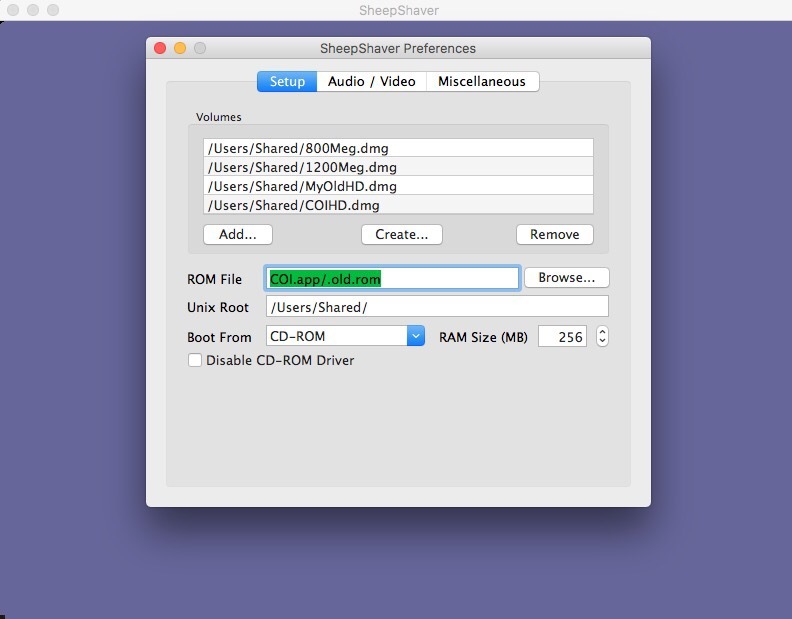 Lastly is a picture of the 32MB image available when the FloppyEmu is set to SmartPort vs, 5.25, 3.5 or UniDisk 3.5. I bought the Bundle but I haven’t put the acrylic case together yet. Soon. 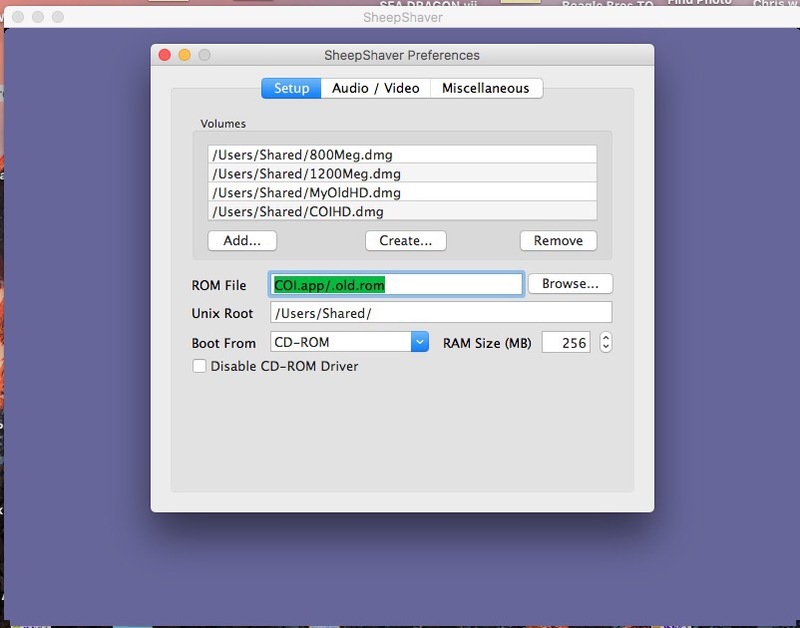 I just found out you can drag and drop disk images on to the microM8 Emulator. Drag to the left side is drive 1; drag to the right side is drive 2. The first image is the 800K disk. The second is the 143K data disk. The Paleotronic site, the maker of the micro8M. This is a nice Graphical Spreadsheet with Charting features for the IIGS. Here are some pictures. I’ve run it under Sweet16 Emulator and from my CFFA3000 in my IIGS.